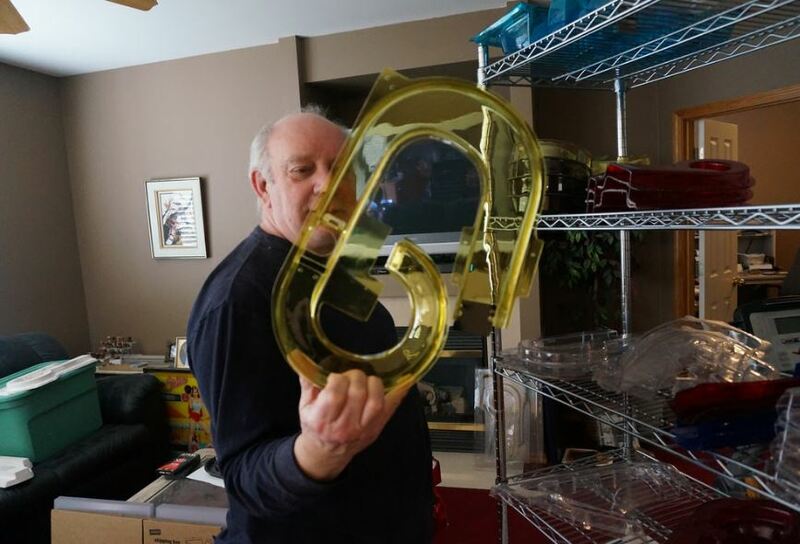 Seatte’s Mark Davis has been manufacturing and selling reproduction plastic ramps for pinball machines for the last 4 years, all from his home workshop. 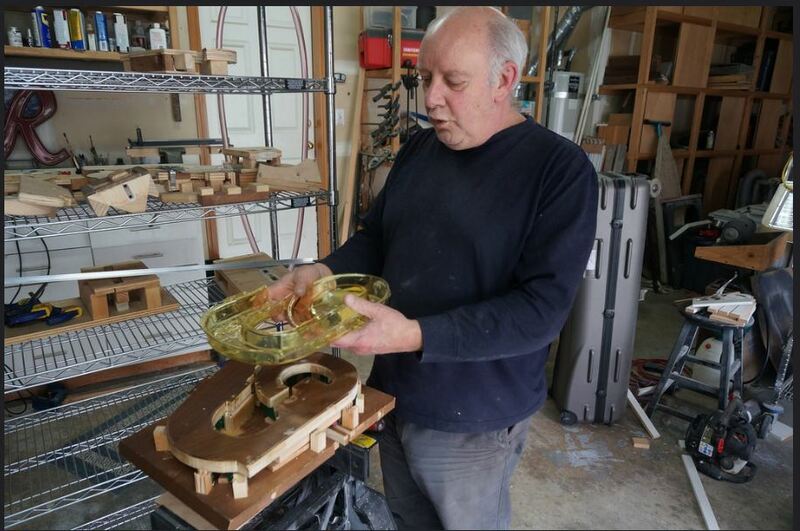 It all started when his son Aaron, now of FAST Pinball, was interested in making a fully custom pinball machine. Aaron ended up going a different direction, but by that point Mark had already built a couple of different versions of a vacuum forming machine to make a plastic ramp for the game. Once Mark had this machine, he had to find a use for it. “I redesigned the ramp for High Speed to eliminate the need for the cover and made it clear,” he says. The original ramps on a lot of the System 11 games were black ABS plastic, which often darkened the playfield and hid playfield art. 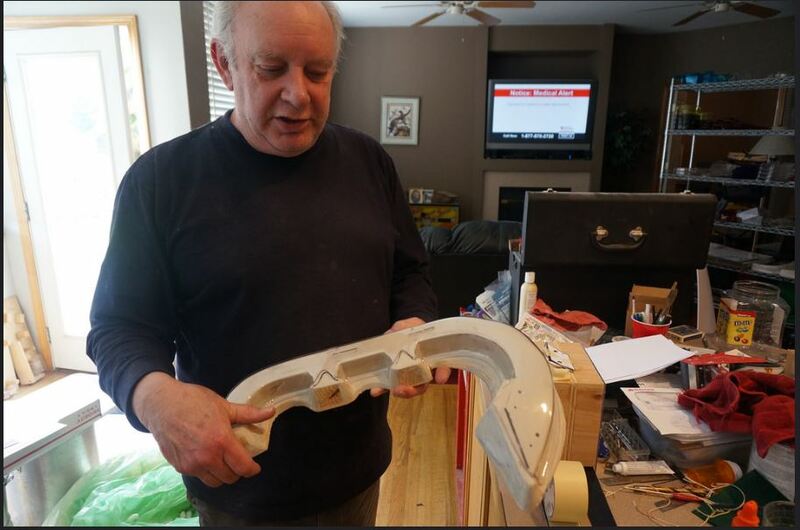 This first mold he created from wood and Bondo. The results were good, and Mark’s post about his new creation received a lot of positive reaction on Pinside. That was the start of a 4-year journey making discontinued ramps. “If I don’t do it there’s nobody else that will make ‘em, especially short runs.” So far he’s made over a thousand ramps total, for games such as Space Station, Guns N’ Roses, Swords of Fury, Genesis, and a dozen more. “My sales force is the people on pinside who post photos, give me lots of praise, and thank me. That’s what keeps me going,” he says. Mark’s current process for producing a ramp starts with the idea. Mark says he likes to make the ramps that nobody else will make. He’ll often borrow an original ramp from a local collector or someone from Pinside who volunteers their ramp in exchange for a free reproduction version. Making the mold starts with damming up the open ends of the original ramp and blocking all the switch and screw holes. He’ll next fill the ramp with a hardening ceramic liquid similar to plaster. 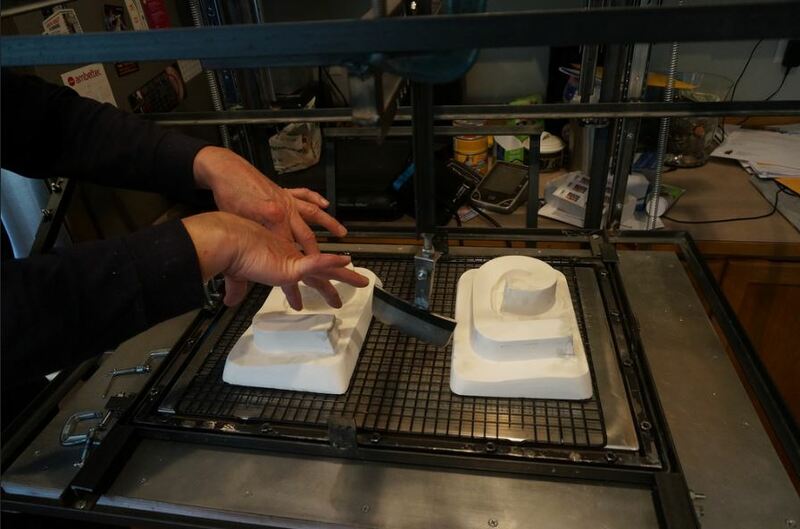 Once the mold is hardened and removed from the original ramp, it’s time to vacuum form. 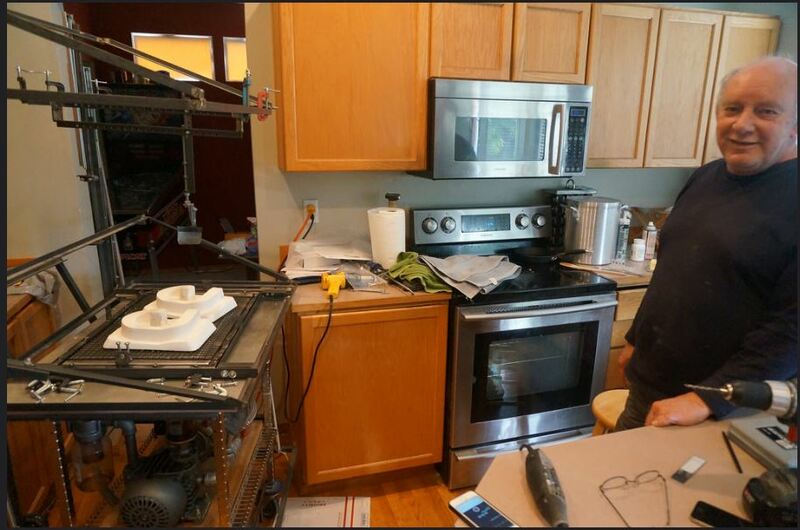 Mark fixes a sheet of plastic inside a frame and sets the frame in his kitchen oven to warm up and become soft. 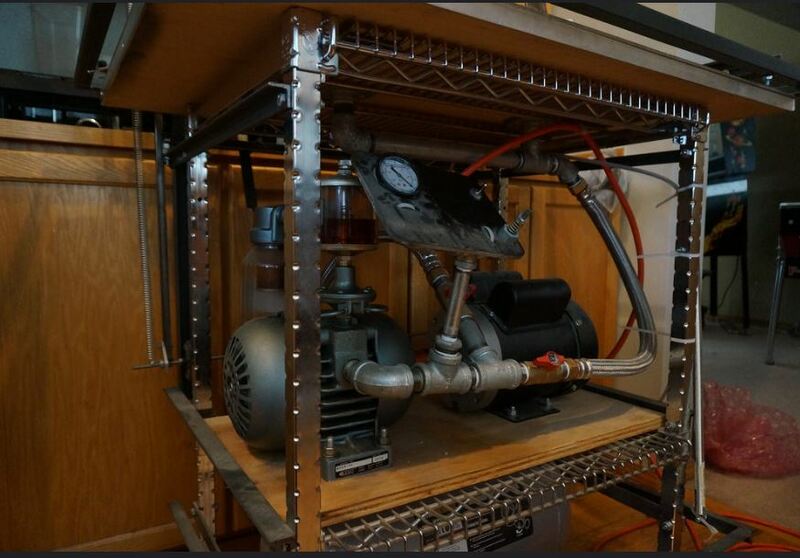 Mark’s vacuum forming machine is a table with a vacuum pump pulling air down through a hole in the table top. Mark places the mold on the table and then lowers the softened plastic sheet on top. 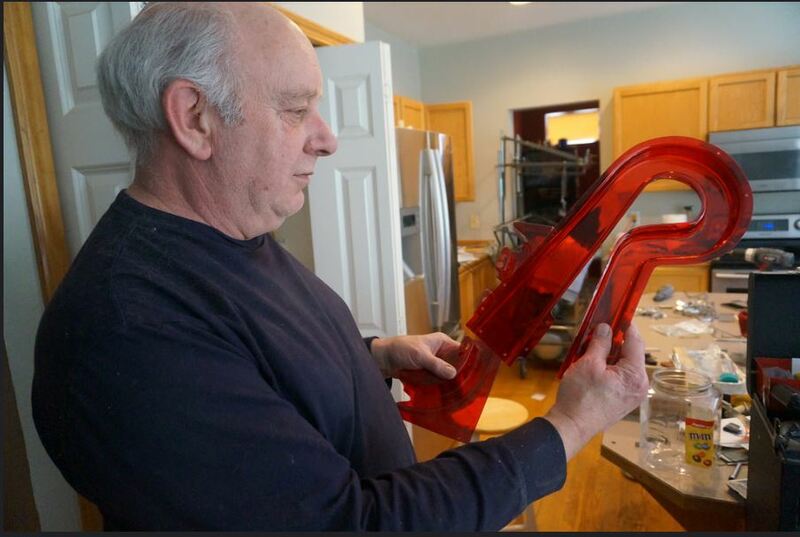 The vacuum pulls the plastic tight against the mold so the shapes match perfectly. As the plastic cools, it hardens to retain the shape of the mold. Mark trims away the excess plastic from the sheet. Some ramps are then dyed bright colors, such as Mark’s reproduction Guns N’ Roses ramps. Mark accomplishes the dyeing at home too, using dyes originally intended for synthetic fabrics. But it doesn’t end there! To create a complete ramp assembly, Mark also produces metal brackets and stainless steel ramp flaps. If you’re interested in following along with Mark’s work, find him on Pinside. His username is Freeplay40.